To co-ordinate with the Clearwater baths, several designs have matching basins crafted from both ClearStone and Natural Stone, to continue the feeling of luxury throughout your bathroom. 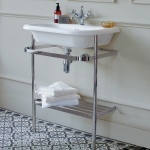 The Classic basins add to the vintage look of all the Classic Clearwater baths but also keep all the current water-based engineering we use today. 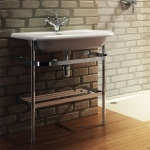 These basins come with a free 10 year guarantee.